Home/Healthcare/CBD: How Effective is it as Stress and Pain Reliever? Cannabidiol has remained under spotlight for its controversial properties. Cannabidiol is a component of the cannabis plant which makes it similar in properties to other components of the plant including marijuana. Cannabidiol does not have mind altering properties like that of marijuana but it till has some effect on the brain to relax the nerves. There is still much confusion as if CBD has beneficial effects on the body as there are studies being carried out. Generally, CBD is known useul for treating various health disorders such as depression, anxiety, diabetes, epilepsy, Alzheimers disease, cancer, acne, and many other diseases. CBD and Marijuana – Are they Different? CBD has similar properties to that of marijuana but is not psychoactive in nature. This has made pathways for its legalization in the United States. CBD and marijuana come from the same plant and therefore the controversies continue as it may also pose risks for health. CBD has been used as a natural alternative to pain killers. People have been using painkillers for chronic pain over the years and now CBD claims to do the same naturally. It is believed that the non psychoactive compounds such as CBD can become a relief for pain in a natural way and there is no harm in trying out for yourself. 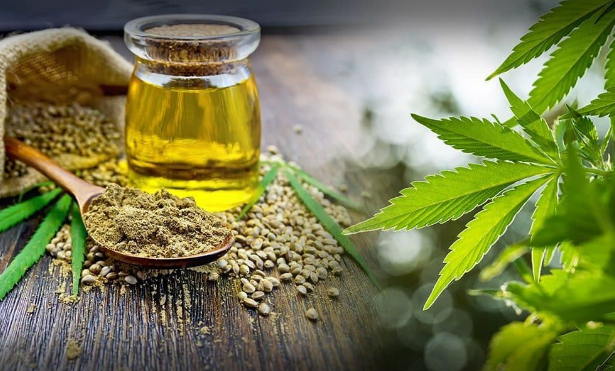 As the properties of CBD are being studied in detail, it is now assumed that not all marijuana forms contain mind altering effects and therefore it can be used medicinally. Can CBD Relieve Stress and Anxiety? CBD is also known to be a stress reliever as it changes the way receptors react in the body. It is non psychoactive in nature but still can have some effects on changing the way signals are received by the mind. How does the body do so? Well, the human body contains an endocannabinoid system which regulates various functions including sleep, anxiety, pain, and immune system response. The transmitters are impacted by CBD resulting in reduced pain, inflammation, and improved immune system. CBD injections have shown reduced pain as a response in studies conducted on rats. Studies have also shown that a combination of CBD and THC can have improved effects for reducing arthritis pain. Benefits of CBD for Depression? Cannabidiol is a pack full of benefits for various health disorders. Some disorders are however difficult to be treated even with the help of medical treatment and still CBD has shown improvements in many such cases. CBD is a natural pain reliever and a therapeutic drug for conditions such as depression and anxiety. CBD is known to have a positive impact on patients with depression as they were brought back to life. CBD for depression is a wonderful weed to try as it will give you relief from anxiety and pain. Medicinal drugs usually cause side effects including insomnia, sexual dysfunction, and drowsiness. These symptoms may cause even more trouble than your actual problem. In such case, CBD can you give you relief as it does not have any such side effects. Overall, CBD has been proven effective for treating anxiety and depression. It has also been a pain reliever for patients with chronic pain. Therefore, CBD has become legal in many countries around the world. CBD is more effective in combination with THC but the concentrations should be medically checked as thc could have mind altering effects too. The Maximum concentration of THC allowed is 0.03% which will have no effects on the mind. However, any exceeding values can be harmful for the human body. It is therefore recommended to get a prescription for CBD to remain safe and avoid any unnecessary hassles. CBD Oil : What is it best used for?